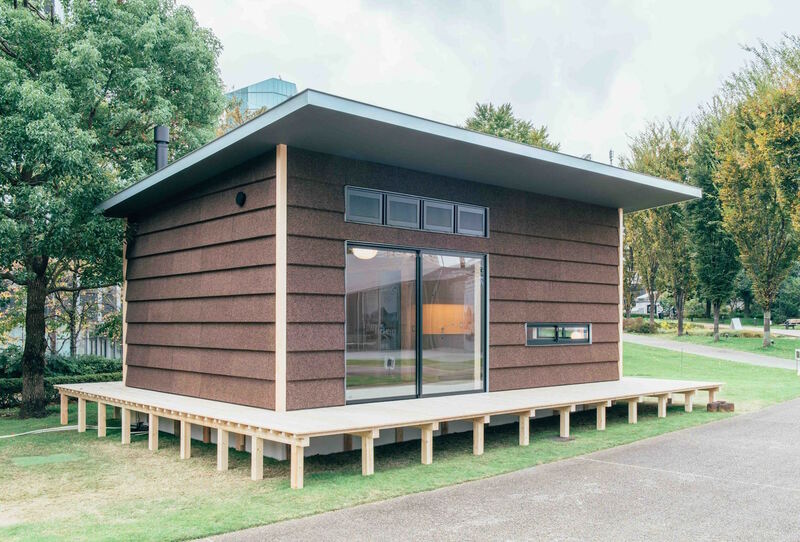 Lovers of MUJI’s minimalist Japanese aesthetic will swoon over the retail chain’s latest project: Muji Hut, a series of tiny prefab homes befitting the simple yet chic brand. 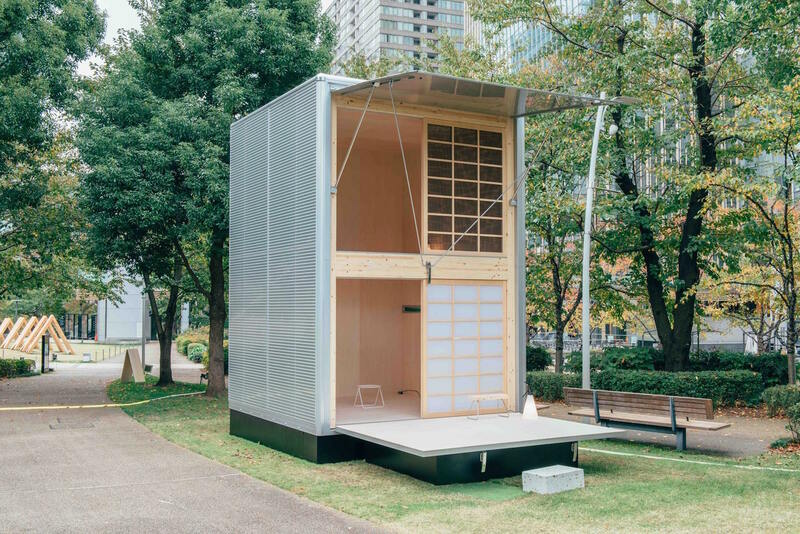 Recently unveiled for Tokyo’s annual Design Touch event at Midtown Garden, the collection of micro-homes are designed to explore what it means to live a more sustainable lifestyle through minimalism. MUJI created the Muji Hut in collaboration with designers Naoto Fukasawa, Jasper Morrison, and Konstantin Grcic. 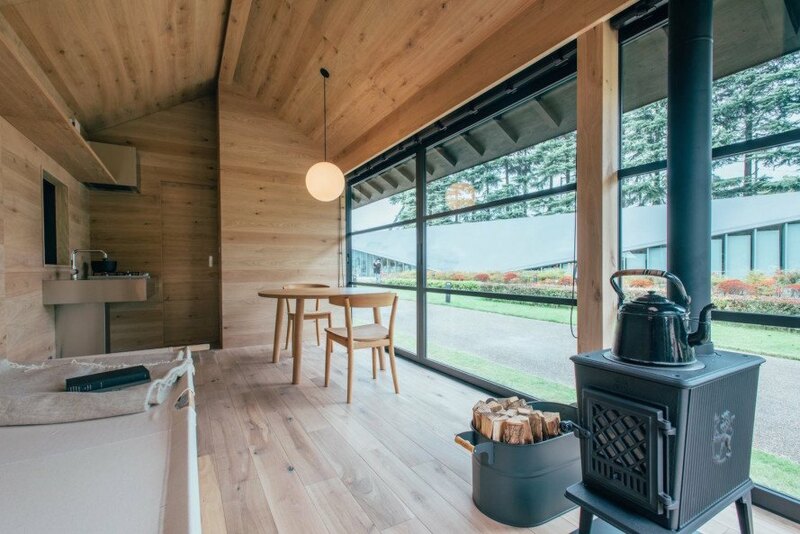 All three micro-homes blend traditional Japanese elements with contemporary styles. 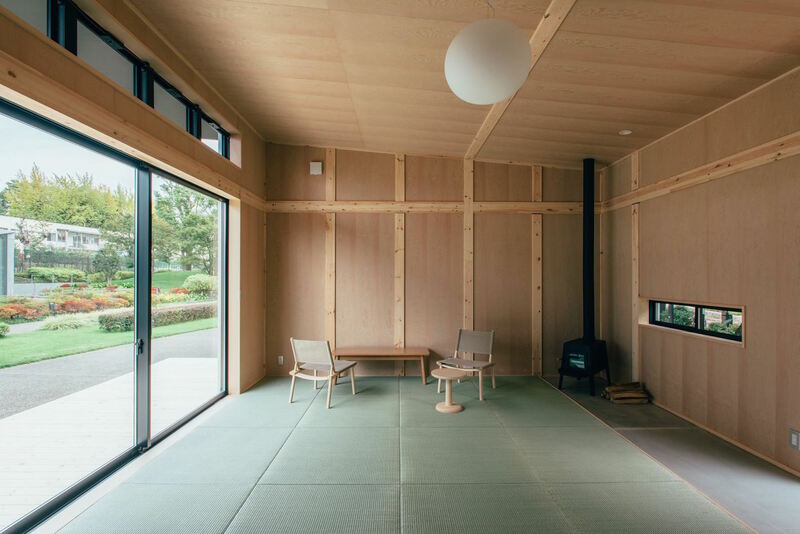 Fukasawa’s Hut of Wood more closely resembles a traditional log cabin and opens up to views and natural light through floor-to-ceiling glazed sliding doors. Topped with a pitched roof, the timber home’s most notable features include a large traditional Japanese bath, a minimal cot for a bed, and a wood-burning stove. In contrast, Morrison’s Hut of Cork trades the bathtub for a minimal shower under the assumption that residents will use the neighborhood communal bathhouse or hot spring. Colorful tatami mats line the floor while sound-absorbing cork panels clad the exterior. Konstantin Grcic’s Hut of Aluminum is the most minimalist of the bunch. Sliding shoji-like doors open up to an all-wood interior, with the bedroom located on the upper loft. According to Spoon & Tamago, prices will range from $25,000 to $40,000. where are the bath rooms? What about using them to house people who are homeless? That seems to me the best use for something like this. Konstantin Grcic’s Hut of Aluminum is the most minimalist of the bunch. Topped with a pitched roof, the timber home’s most notable features include a large traditional Japanese bath, a minimal cot for a bed, and a wood-burning stove. Naoto Fukasawa’s Hut of Wood with a traditional Japanese bath. Jasper Morrison’s ‘Hut of Cork' is clad in sound-absorbing cork panels. Colorful tatami mats line the floor. Kitchen area in the Hut of Cork. Sliding shoji-like doors open up to an all-wood interior in Konstantin Grcic’s Hut of Aluminum. The bedroom is located on the upper loft in the Hut of Aluminum.